A report released today by Detail Data looks into care for historic buildings in Northern Ireland. 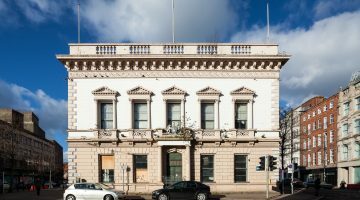 The Ulster Architectural Heritage Society acknowledges with regret the demolition of the Metropole building, York Street over the weekend of 17-18th October, and the anticipated demolition of the adjacent Orpheus building. UAHS has exposed plans to delist a total of 17 listed buildings in Belfast including Kelly's Cellars, and Miss Moran's Tobacconist, Church Lane.